Baroness Grimhildr laeknir, a lovely person in the Society for Creative Anachronism, used volunteers from our shire to test out her new class on making Mustard. This is REAL mustard, from Mustard seeds, the way it could have been done during the medieval period we study and enjoy. 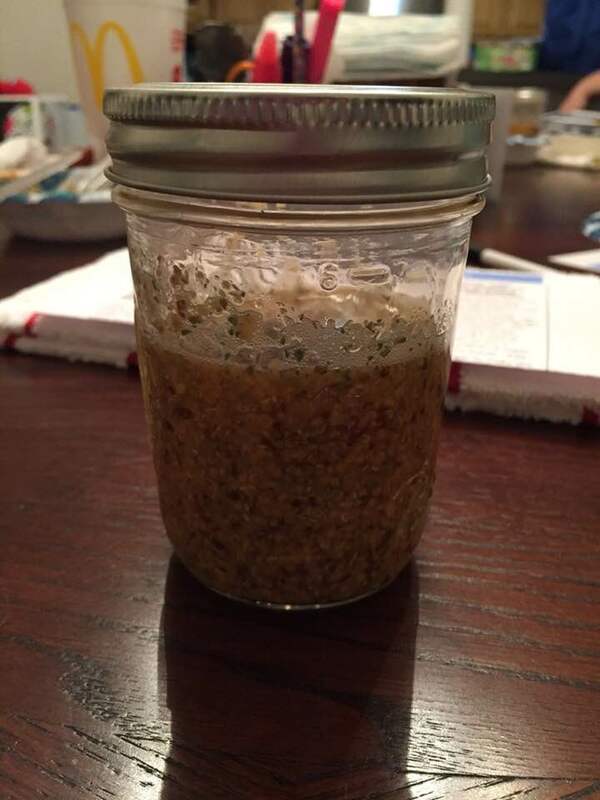 The best part is this condiment is period, so fits right into SCA event meals, but it is also so good you will want to use it regularly. Best mustard EVER. We each got to try our hands at grinding with a mortar and pestle. This one belongs to Grimhildr. 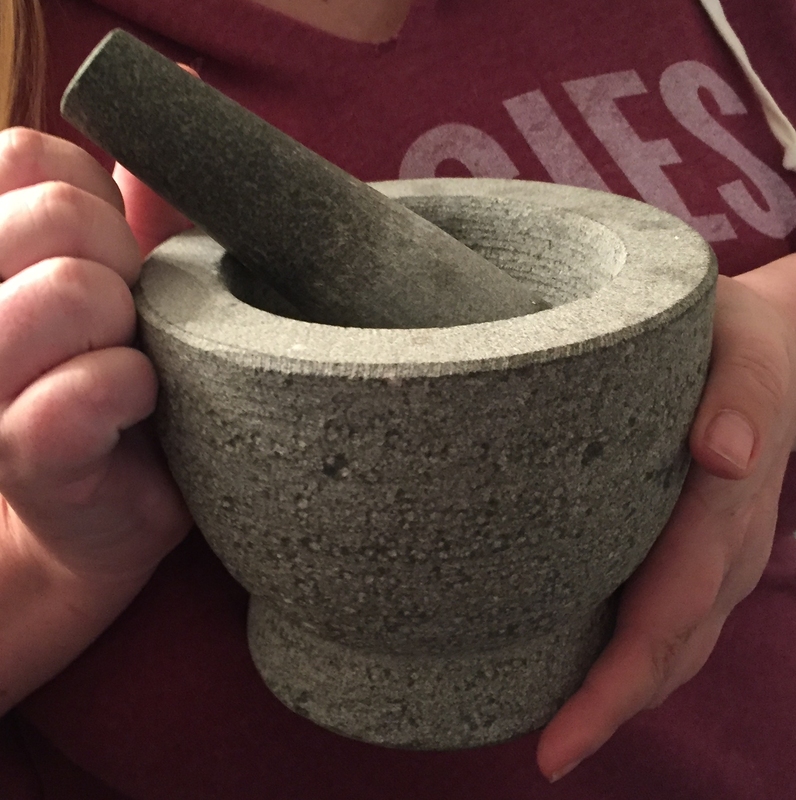 Worked MUCH better than my own tiny mortar and pestle. There was a wonderful handout. Jars for each person, mustard seed in brown and white, your choice of vinegars, your choice of sweeteners (sugar or honey), and an assortment of seasonings you could add if you wished. 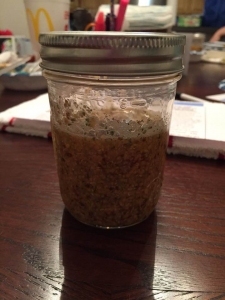 I used Apple Cider Vinegar, honey, and tarragon in mine. It was EASY, and fun. I had such a good time that I have purchased my very own mortar and pestle in granite so that the kids and I can make more at home. The whole activity was organized sensibly. 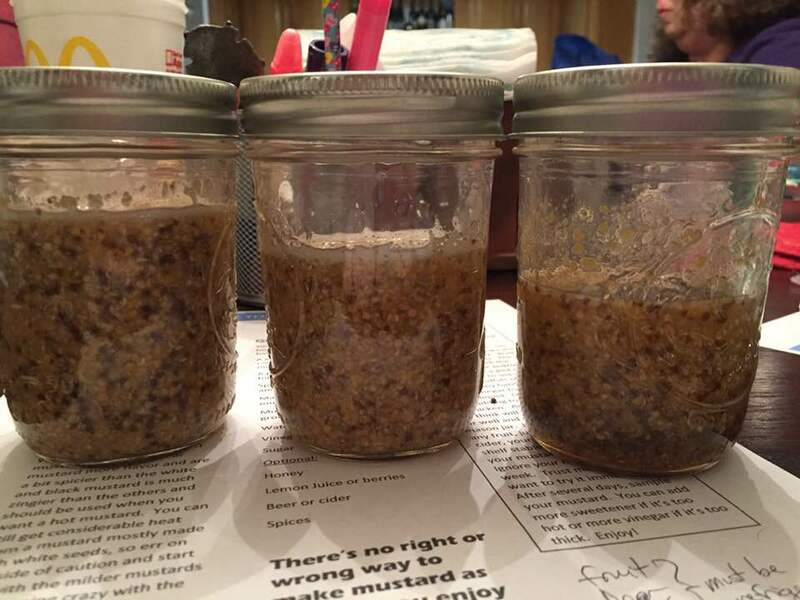 When we needed to let the ground mustard sit in a bit of water for awhile, she had more instructions to cover for the next step so there wasn’t any down time. She did a very good job and plans to teach the class at events. WELL worth your time and the small supply fee! Meanwhile, I have a bunch of mustard seed and my new mortar and pestle waiting for me to do it again!